In a few short weeks AT&T iPhone users will be able to jump ship, head on over to Verizon and buy an iPhone 4. There has been a lot of complaining about the AT&T network over the years, now it’s time for those folks to put their money where their mouth is and head on over to Big Red. 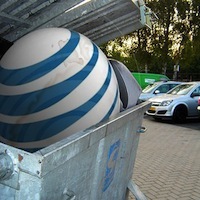 There is one last problem to overcome though, how to cancel your AT&T contract with as little pain as possible. We found this piece outlining some great advice on how to do just that on GIGAOM.com and thought is was so insightful, decided it was worth a read for the TechnoBuffalo faithful. I will hit on some of the main points as well as link the original article so you can strategize how you are going to leave AT&T with as little frustration as possible. The economics of it all and financial pain is always top of mind, so it’s no surprise the Early Termination Fee (ETF) is first on the list. This little number is hard to avoid and if you don’t remember AT&T increased the ETF to $325 minus $10 for each full month of service you have completed. Whatever you do go over the terms of your agreement with a fine tooth comb as some options may or may not be available in each circumstance. If you are within the first thirty days of your contract, you most likely can cancel the contract, of course you will be responsible for any usage fees during ownership, but it will typically be a heck of a lot less than the ETF. Wait until the contract ends, as it doesn’t take a mathematician to realize $10 multiplied by 24 months is not $325. If you are nearing the end of the contract just wait it out. Verizon will be selling iPhones when your contract is over, trust me. Here is one that I had never heard of before, and as you might expect AT&T doesn’t promote. If AT&T increases rates or has increased rates, AT&T’s standard terms and conditions allows you to cancel with no ETF. I don’t expect them to raise rates anytime soon but check back over the life of your contract and see if your rates increased. If so, bye bye AT&T. Move to a location that has no or limited service, as GIAOM.com states, this may be a bit extreme, but if you are relocating already or currently live in a questionable coverage area this may be an option for you. Finally, and I would say the best way to avoid losing the ETF is to sell your current iPhone to cover it. There are many sites that let people sell their old gadgets for cash like Gazelle.com. Craigslist or ebay are other good options, just keep in mind ebay will hit you with about 9 percent in fees before you see your cash. To give you a little perspective, I just sold a iPhone 3GS, 8GB, locked to AT&T in excellent condition on Craigslist for $285, so you could expect at least that much for an iPhone 4. 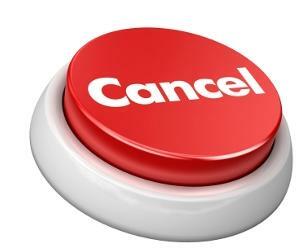 If you do decide to leave AT&T you can simply call and cancel your service, which will also release your phone number back into the pool, or you can port your number over to Verizon. If you go the porting route make sure to bring the most recent phone bill with you and Verizon will take care of the rest. It is actually the new carrier that is asking for the number porting not the customer. It usually takes three to four hours for the porting process to complete after which you will have full access to your phone calls. One other very important thing to remember when switching, your voicemails will not port over to the new carrier. If you have any important information that you don’t want lost forever back it up, transfer it, record it somewhere or write it down on a cocktail napkin because once it’s gone, it’s gone. That’s it!! If you have any other advice please leave it in the comments below.